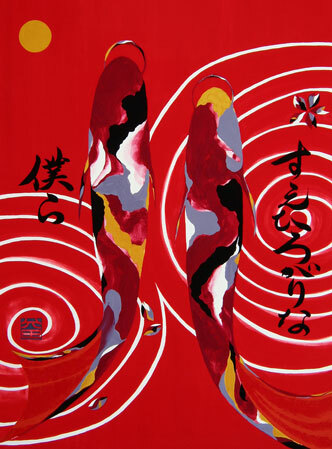 led me to discover the Neo-Japonism style. 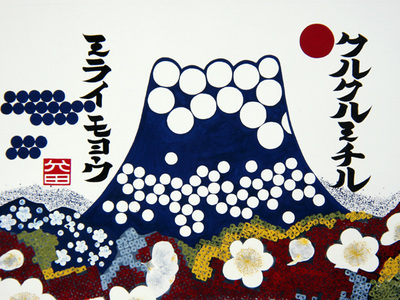 I was exposed to numerous works of modern art, which resulted in me maturing as an artist. 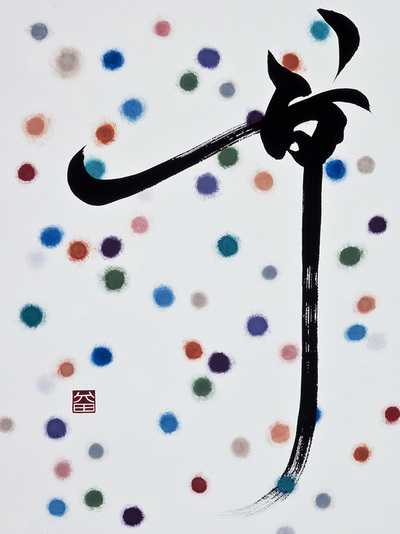 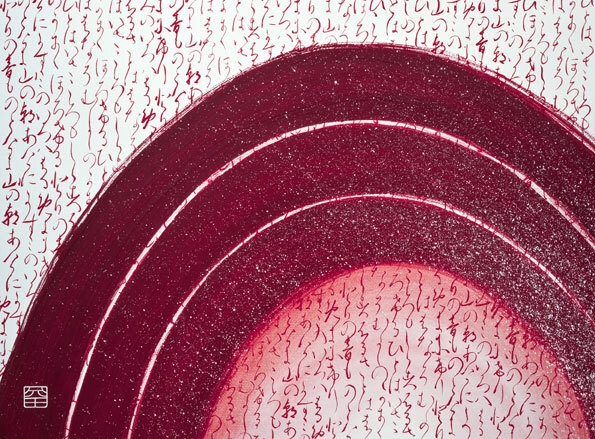 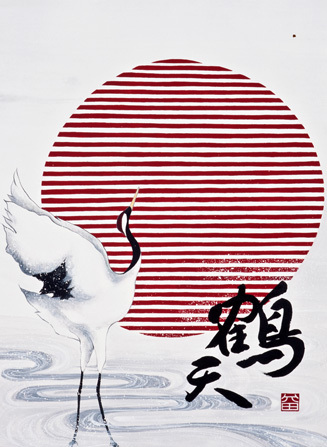 It also resulted in fusing the essence of traditional calligraphy, Japanese design and poetry with contemporary art forms. 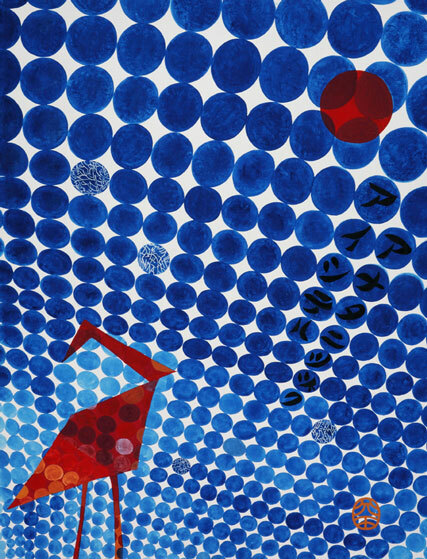 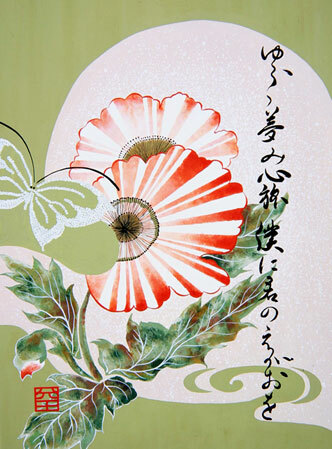 As well as Neo-Japonism painting I produce Neo-Sho, Washi-collages, vintage kimono fabric collages, works in body art. 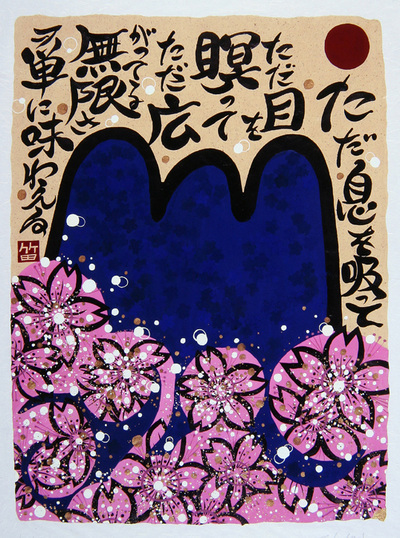 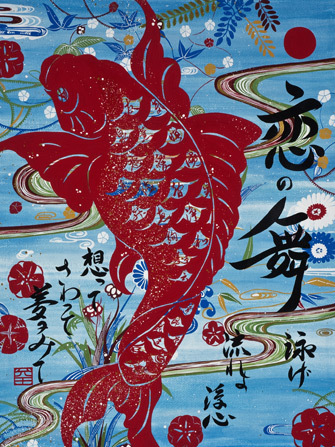 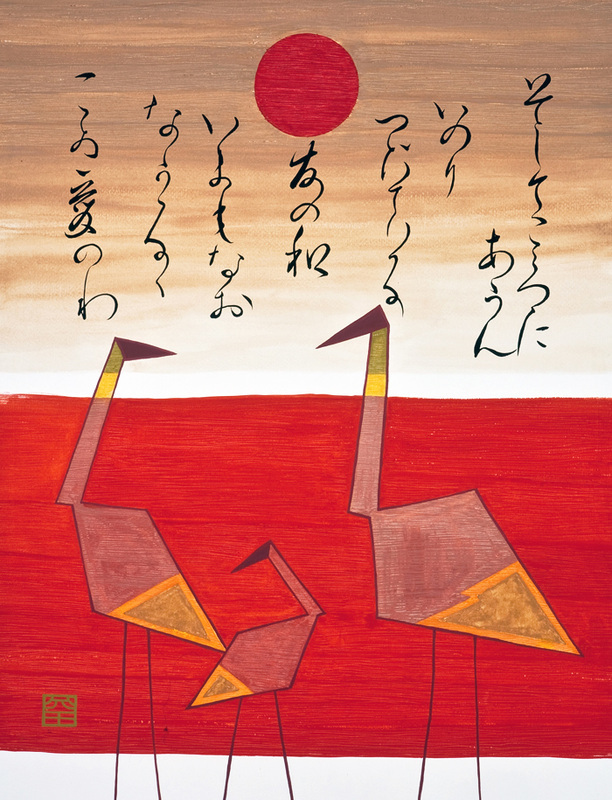 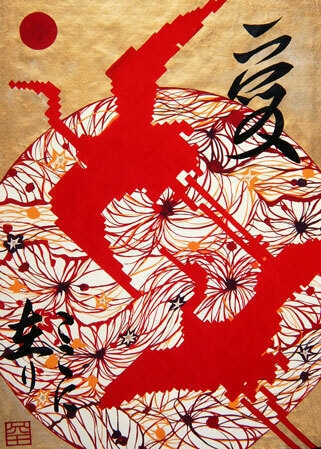 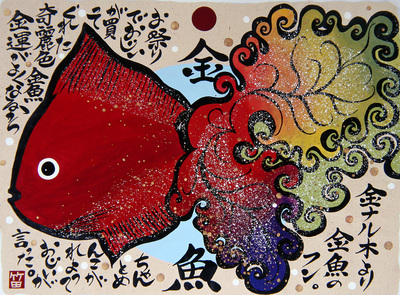 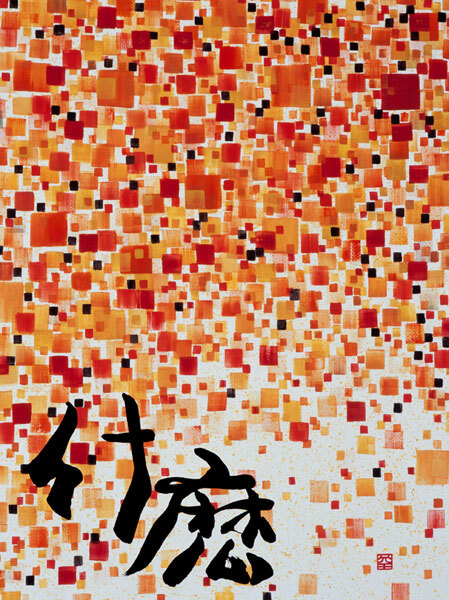 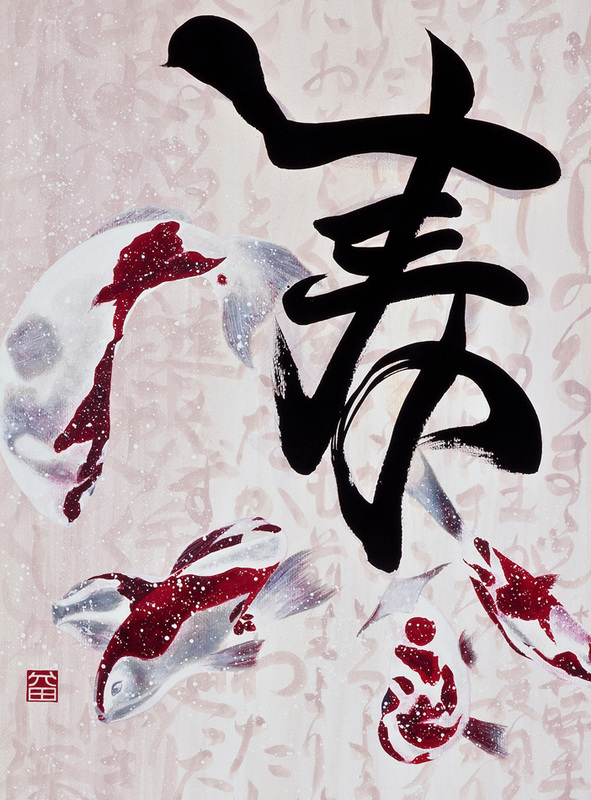 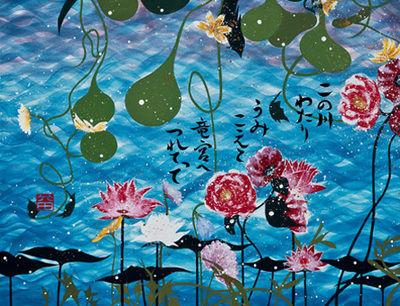 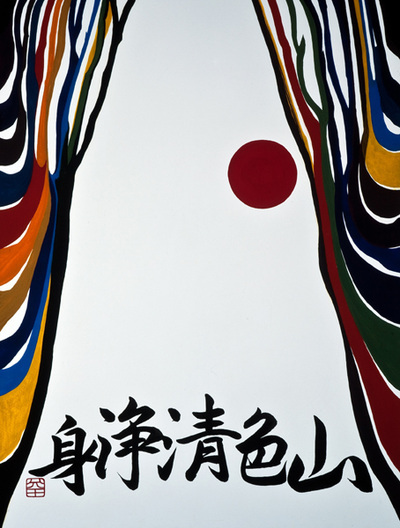 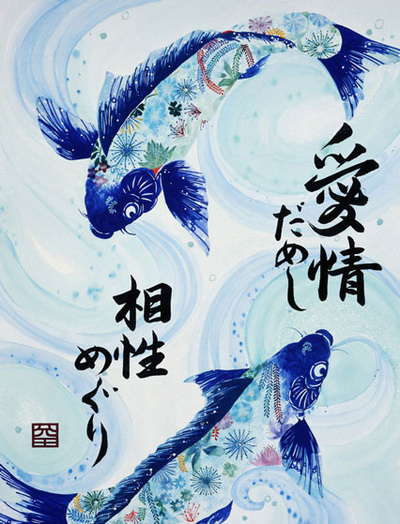 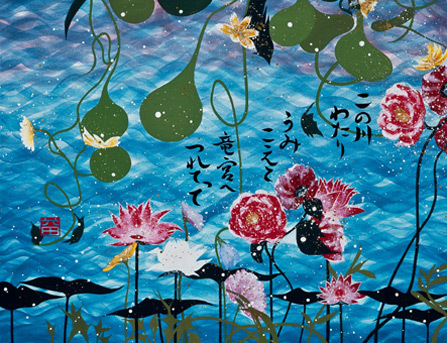 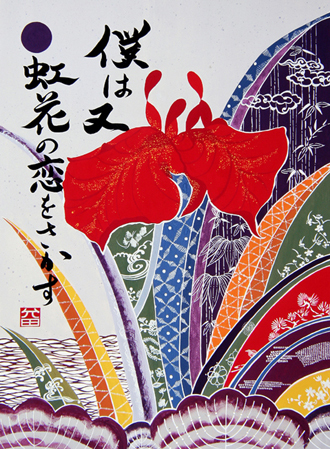 More info and pictures, visit my Neo-Japonism site. Here is an overview of Painted Poems and collages.